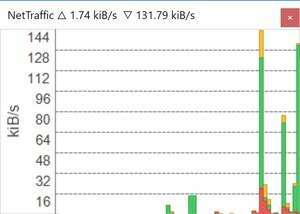 NetTraffic is a network data rate monitoring tool. NetTraffic shows data rates on a chart and as text labels. The application logs traffic and system uptime. Statistics module presents prognosis, average rates and information about the current state. Version 1.53.5 is a freeware program which does not have restrictions and it's free so it doesn't cost anything. For security reasons, you should also check out the NetTraffic download at LO4D.com which includes virus and malware tests. Additional screenshots of this application download may be available, too. 3.2 out of 5 based on 69 ratings.